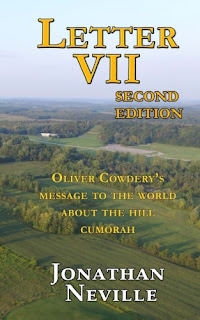 From time to time I hear people object to Letter VII because Oliver Cowdery left the Church for a while, so we shouldn't trust anything he wrote. That's the weakest excuse so far for rejecting Letter VII. When he wrote Letter VII in July 1835, Oliver was the Assistant President of the Church. In nine months, April 1836, he would receive the keys of the Priesthood from Moses, Elijah and Elias with Joseph Smith in the Kirtland temple, along with a personal visitation from the Savior Himself. This past summer our family had a wonderful opportunity to visit some early Church history sites in the eastern United States. In a special way, we relived the history of that time. People I had read so much about—people like Martin Harris, Oliver Cowdery, and Thomas B. Marsh—became more real to me as we walked where they walked and pondered the sacrifices they made to build the kingdom of God. They had many great traits that allowed them to make significant contributions to the Restoration of the Church of Jesus Christ. But they were also human, weak, and fallible—just as you and I are. Some found themselves at variance with the Prophet Joseph Smith and fell away from the Church. Later, many of the same people had a change of heart, humbled themselves, and once again sought and found fellowship with the Saints. While that may be true, we don’t really know what it was like to live in that time, in those circumstances. No, they were not perfect, but how encouraging it is to know that God was able to use them anyway. He knew their strengths and weaknesses, and He gave them the extraordinary opportunity to contribute a verse or a melody to the glorious anthem of the Restoration. How encouraging it is to know, though we are imperfect, if our hearts are turned to God, He will be generous and kind and use us for His purposes.